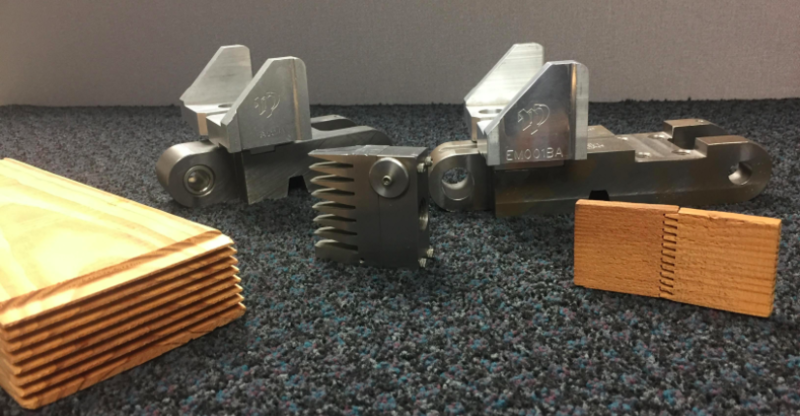 ​The Heavy-Duty High Production Finger Jointer from Western Pneumatics known as the "HD High", is the biggest short-block machine that WP manufactures. Manufactured with cast iron columns, this workhorse will give your operation the efficiency and production that you're expecting from a finger jointing machine. Western Pneumatics also has the best in class technicians that are available to help with programming, maintenance, and troubleshooting, at your convenience. Columns made with "Heavy Duty" cast iron. Frame fabricated with heavy steel, heat treated, stress relieved, and machined. Variable speed chain operates at 30 to 120 feet per minute. Up to 160 lugs per minute on 9" lug centers. Precision machined chain with lugs available on 6", 9", or 12" centers. Adjustable speed crossover arm assembly with air actuated cylinder. Powered Manual corner transfer with options for an automatic corner transfer. 200' (61m) per minute maximum feed rate assembly. 16' (4.9m) standard, hydraulic squeeze, rack and pinion ejector and off bearing skids (with option to 40' press). Pre-Assembly drive rolls pre-squeezed joints to prepare for cutting to length and final squeezing on the board press. 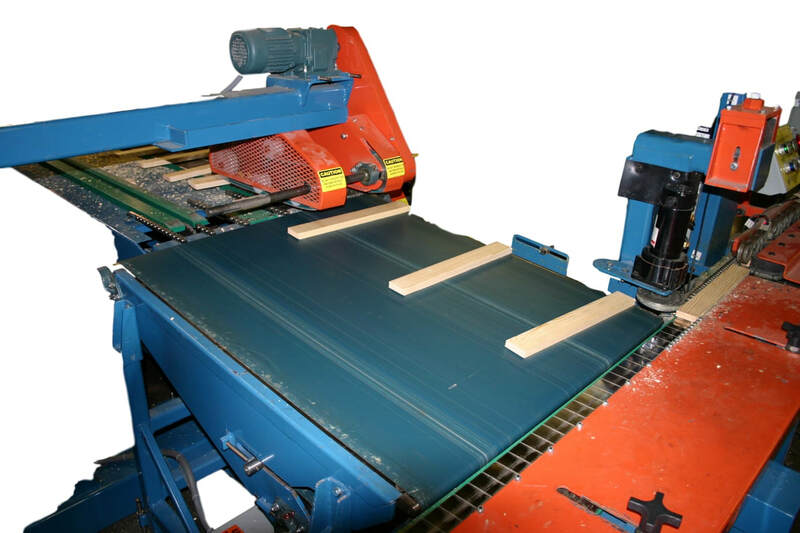 Built-in 7½ HP chop saw with rapid stop and cut cycle. Up to 300' (98m) per minute maximum feed rate assembly. 16' (4.9) standard, hydraulic squeeze, rack and pinion ejector and off bearing skids (with option to 40' press). Dual pre-assembly drive rolls pre-squeeze joints to prepare for cutting to length and final squeezing on the board press. 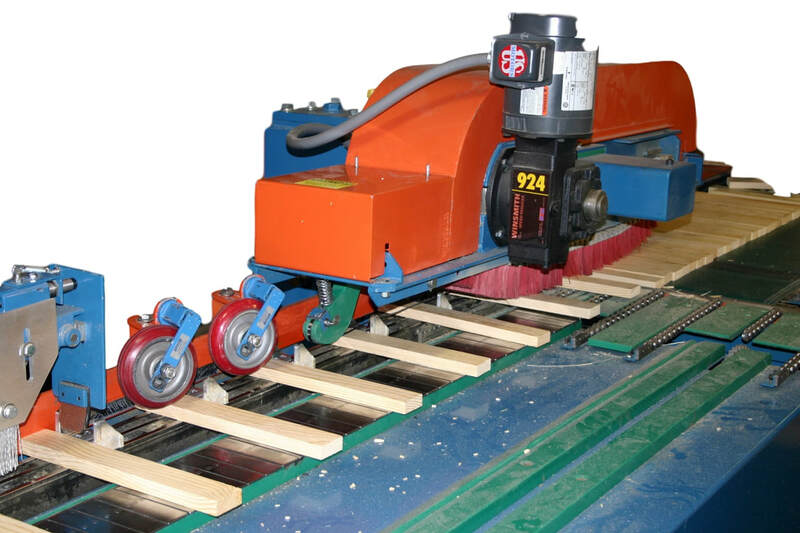 Heavy duty flying saw carriage with 7½ HP cut-off saw.